A Cornish Winter Hedgerow. Guest post by Sian Pickles. 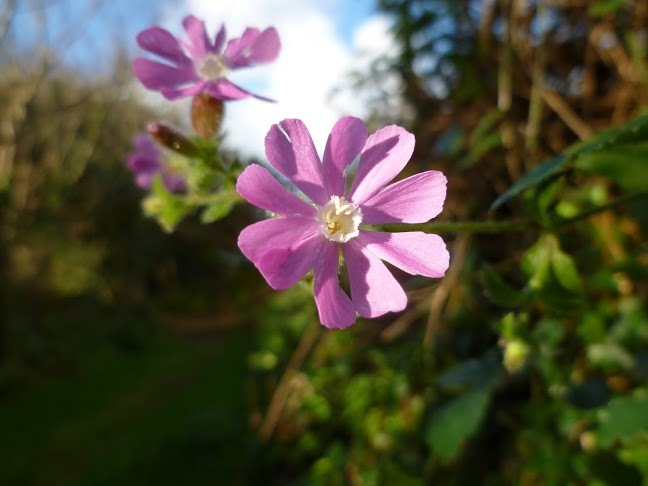 A BIG Higgledy THAN YOU to Sian Pickles for sending me this guest post on the super marvellous, Winter hedgerows we have here in Cornwall. Please visit her amazing blog www.adventureswiththeblackdog.co.uk where you will see a whole load more of her wonderful photographs. For us bonfire night is the first real marker of winter, the weather always seems to hold off until Nov 5th with the temperature noticeably dropping immediately after. And whilst the countryside is now showing definite signs of hibernation, with the turning colour and falling leaves, the Cornish hedgerows are far from bare. There’s still a juicy abundance to them. Our regular walk, which leaves straight from the house and winds up and around miles of byway, is trailed pretty much all the way with hedgerows, wild and unruly with elder, blackthorn, wild rose, honeysuckle, hawthorn, fruit trees and gorse. And whilst some of these have very much passed their peak this year, others are still boasting a richness. 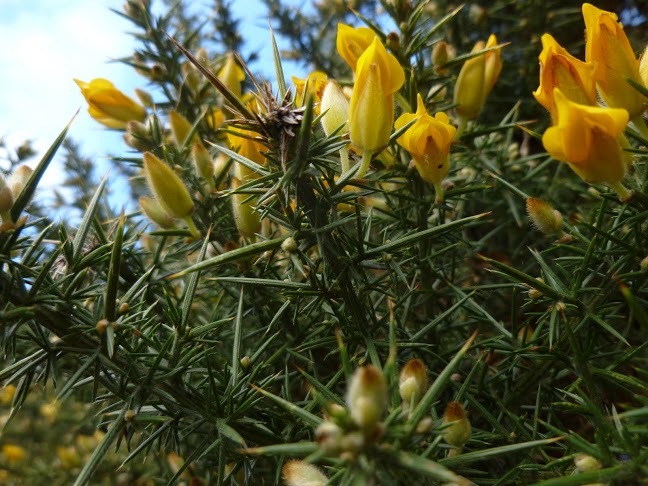 Following a rare and short time of flowerlessness the gorse is starting to bud again with a scattering of rich yellow petals already open. 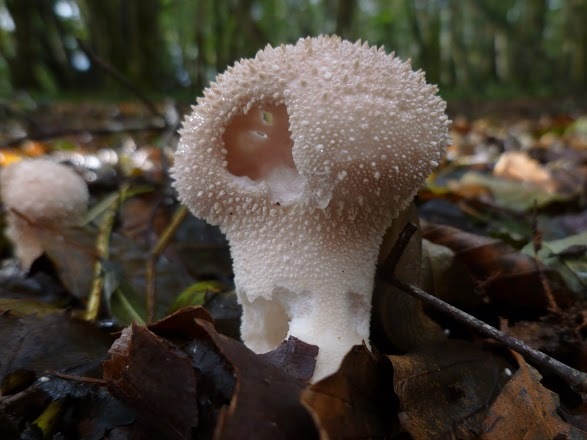 The holly is in full berry – it always surprises me how early this happens, mushrooms are pushing up through the wet cold soil everywhere you look and there’s even the odd stoic summer survivor, we spotted some pink campion tucked away in a sheltered spot. What really catches my eye however are the rose hips. We planted our garden from scratch a few years ago and took inspiration from our wild surroundings, using bare root stock of blackthorn, hawthorn, elder and dog rose. And the dog rose in particular have a real encore at this time of year. In the summer they blossom profusely with delicate, single layer petals which shower down like confetti in mid summer, and in the autumn their hips grow big and deliciously abundant. 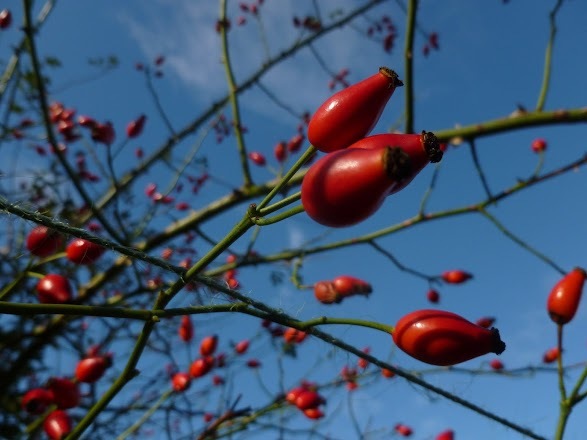 And on a clear winters day their network of bare thorny branches are studded with thick red, orangey hips that stand out beautifully against a blue sky. Don’t forget to pop over to Sian’s kingdom at Adventures With The Black Dog. Scabiosa ‘Crown’. A Spanking Gorgeous Addition To Your Cut Flower Garden. Cleome. A Guide To Growing This Conkers Bonkers Flower.